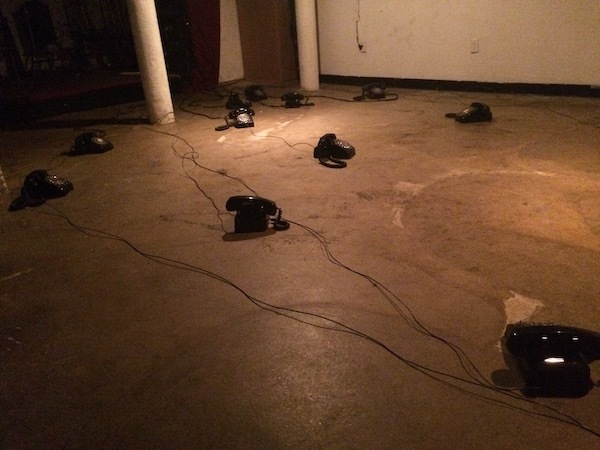 Western Electric is a generative composition of indeterminate duration for an array of fifteen computer-controlled rotary telephones. 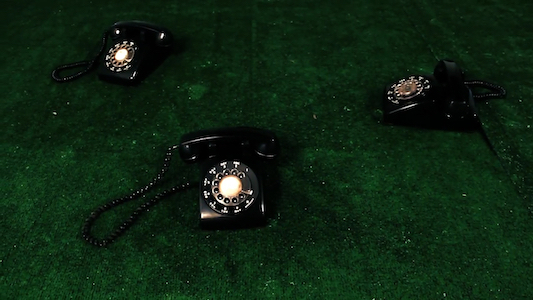 The telephones are linked to a computer controlling the sonic output of the bells. 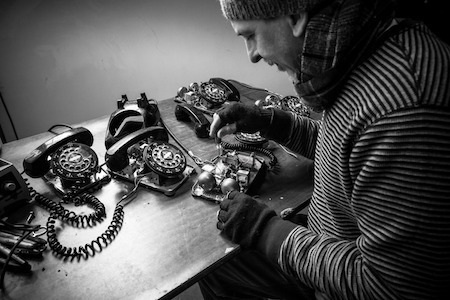 Old telephones sound via mechanical rather than electronic means: their bells are struck by clappers. 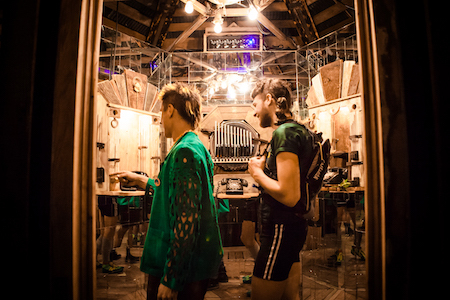 In this work, the speed and position of the clappers are voltage-controlled, making possible a wide range of rhythms, sounds and tones – from single peals to muted taps to familiar rings. Timing, density and timbre are determined by a generative score based on swarm intelligence, small-world networks, and Markov chains. Western Electric posits an alternative reality in which obsolete instruments present an atavistic sentience – not the product of an advanced consciousness of communication, as we might wish or fantasize them to be, but instead, allude to a primitive will with not quite transparent intentions, a hive mind of the obsolete. 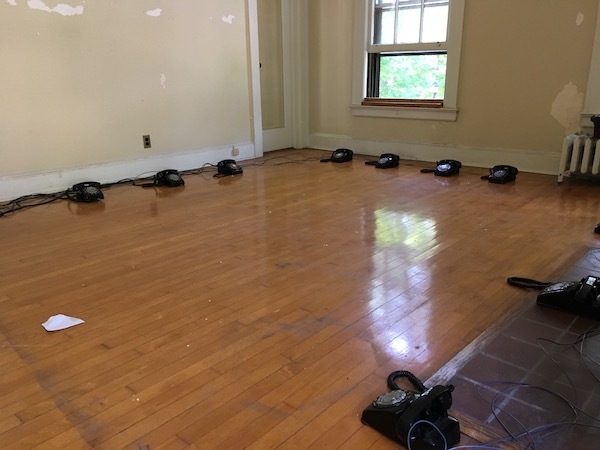 While maintaining Aristotelian unity – The work’s sonic content is a result of the telephone’s mechanical form – I aim to unfold this formal object by reshaping its familiar sonic and social relations, reconsidering it as orchestra, bedlam, site of exchange. 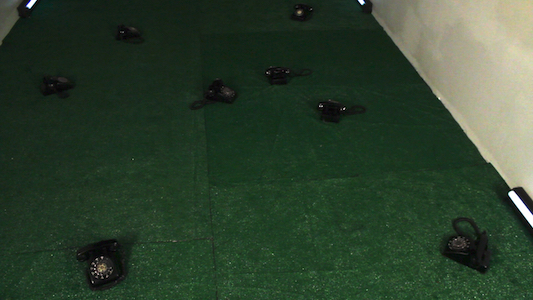 The combination of the estranging strategies of multiplication and re-purposing with the iconic visual and auditory qualities of the telephone presents a fresh interrogation of fundamental precepts, both artistic and social: musical composition, robotics, and the nature of our interaction with technology. 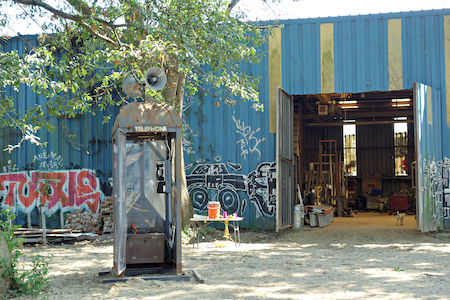 This work exists in two versions: Nº 1, for fifteen autonomous phones, and Nº 2, an interactive work for one modified payphone, rotating speaker, and six standard phones, commissioned by New Orleans Airlift for their Music Box Roving Village, exhibited at City Park, and now permanently installed in the Music Box Village‘s new location in the Bywater. 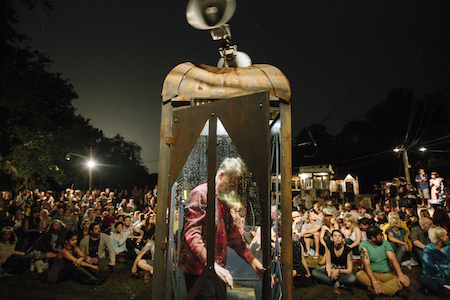 Phone booth designed and built by Nina Nichols.